Claims were first staked in the Rico area in the mid 1860s, long before the Ute's had been forcibly removed from the area. In 1891 the Rio Grande Southern arrived in a route connecting Ridgeway and Durango. By 1892 Rico had a population of 5,000, 23 saloons, 2 churches, and a three block long red light district. It�s hard to believe Rico was once bigger than Telluride is now. 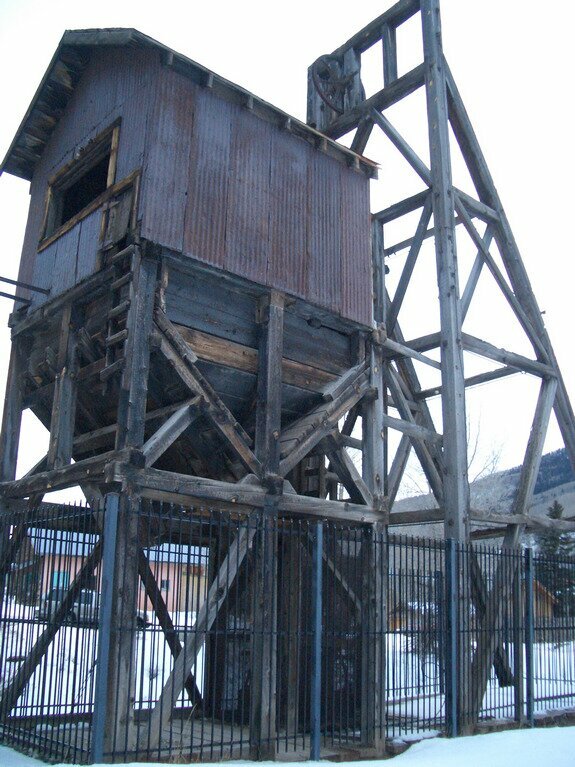 One mine sits right along the main street and has two plaques to read. 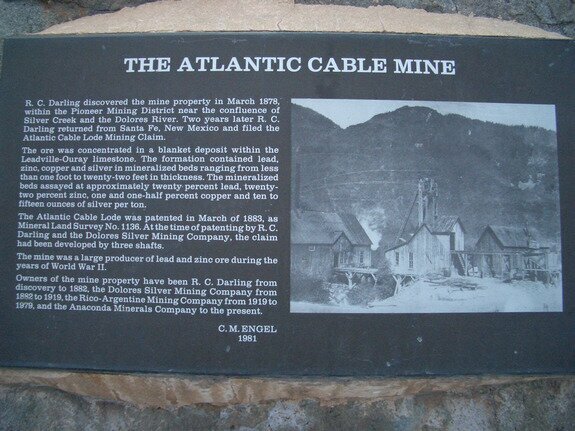 The Atlantic Cable Mine that appears on the mainstreet. 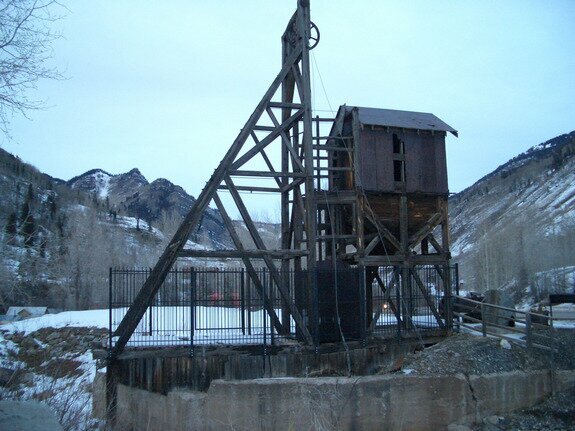 Note the historic photo of the mine and compare it to the others below. Date Taken: 2005:12:25 04:52:35 Want to use this image? See the More information tab. Date Taken: 2005:12:25 04:55:42 Want to use this image? See the More information tab. Another view from further away. Note the stabilizing concrete that had been added. Date Taken: 2005:12:25 04:57:26 Want to use this image? See the More information tab. 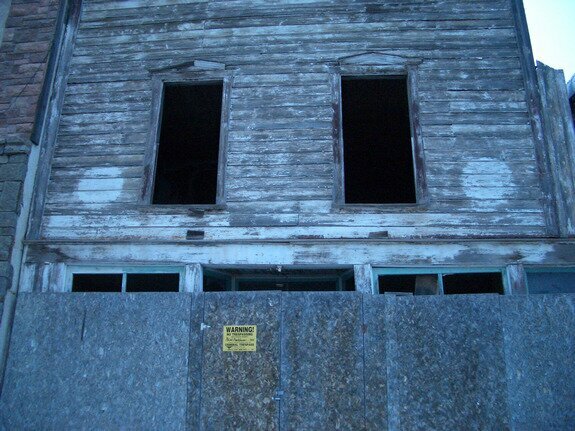 Taken Christmas day 2005, hopefully the boards indicated restoration rather than destruction. Date Taken: 2005:12:25 04:59:34 Want to use this image? See the More information tab. 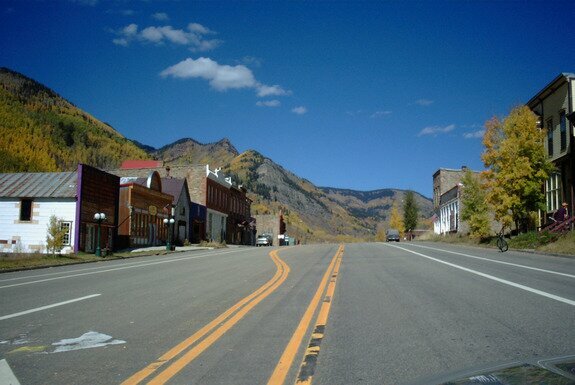 Taken back in 2003, this shows that during mid October, none to much is happening in the sleepy town. Date Taken: 2000:01:22 06:18:20 Want to use this image? See the More information tab.